1. Access: How often will you need to dip into the account, and what's your preferred method of access -- ATM, check writing, online, and the like? 2. Interest: How much will the institution pay you for babysitting your money, and does the amount you need to park in the account qualify for the best rates? 3. Service: Might you require bells and whistles, such as in-person customer service, or are you more of a DIY, low-maintenance customer? 4. Penalties: Should your plans change -- you need to get to your moola sooner than planned, for example -- how harsh of a punishment will you need to endure? · Your money is only a check or an ATM machine away. · A bank branch is usually not far, often in your grocery store, if you're so old-fashioned as to want to deal with a human being. · As with all bank deposits, checking accounts are insured by the Federal Deposit Insurance Corp.
· Depending on the bank, you may not earn much, if anything, on the money in your account. · Many checking accounts require a minimum balance or charge fees, or both, which are a pox upon your pecuniary patience. · The money in a savings account is insured by the FDIC. · Account minimums are often low. · The return on savings accounts is so low; some mattresses pay more in interest. · Better rates than many standard bank accounts. · Same FDIC insurance applies to high-yield accounts. · Bare-bones banks with no ATM/debit access or check-writing privileges can be a big hassle if you need your cash fast. · Customers must coordinate their cash flow by transferring money back and forth from the online bank to a linked checking/savings or brokerage account. That means delays -- two to five days -- before everything's reconciled. · Watch out for limited-time teaser rates by researching the product's six-month interest rate history. · Money market deposit accounts are very liquid. Most allow for easy access through checks, transfers, and even ATMs. · Because they are offered by banks, money market accounts are insured by the FDIC. · Unfortunately, you may pay for the liquidity by receiving less in return than from certificates of deposit. · If your account falls below the minimum required balance, or you exceed the limited number of transactions, you might pay a penalty. · With a money market fund, you can have the money in your hot little hands very quickly. Often, you can write checks or use an ATM card. · The returns on money market funds are typically higher than the return on money market accounts. · Issuers go to great lengths to keep the NAV (the price of each share of the fund) at $1, so your principal is relatively safe. · Money market funds are not FDIC insured. · There is no guarantee that the NAV will remain at $1. · CDs are very safe because most are offered by banks, so they are FDIC insured. · Depending on how long it is to maturity, CDs may pay more than money markets. · Treasuries are considered the safest investments in the world. · They can be bought directly, commission-free, at TreasuryDirect. · They are exempt from state and local taxes. · If you shop around, you might get a better return from money markets, CDs, and corporate bonds. · If you need your money before the security matures, you may not get back all of your original investment. · I Bonds are backed by the full faith and credit of the U.S. government. · The "I" in I Bond protects your investment against inflation risk. · They are sold in manageable denominations, ranging from $50 to $10,000. · They can be bought from most financial institutions, including TreasuryDirect. 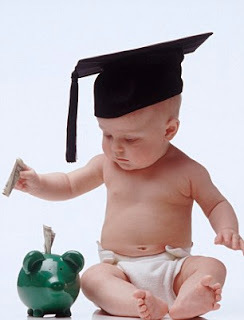 · The earnings are exempt from state and local taxes, and can be tax-free if used for post-secondary education expenses. · Taxes on earnings can be deferred for up to 30 years. · You must hold an I Bond for at least 12 months, and you will pay a penalty of three months' earnings if you redeem the bond before owning it for five years. · Munis are just a step down from U.S. securities in terms of safety. · Income is exempt from federal taxes, and might be exempt from state and local taxes if you live in the municipality that issued the bond (check on the tax implications beforehand). · Interest from munis is relatively low. Unless you're in a high tax bracket, you'll usually get a better return from other investments. · You may have to pay a commission to buy municipal bonds. · If you need your money before the bond matures, you may not get back all of your original investment. · Corporate bonds usually pay more than government securities, money markets, and CDs. · The company that issued the bond could suspend interest payments, or even go belly up. · You may have to pay a commission to buy bonds. · They are an efficient way to buy bonds in small increments and get the diversification that minimizes the risk that you picked a bond from a deadbeat company. · The NAV (i.e., the share price) of a bond mutual fund fluctuates, because of interest rate movements and the bonds bought and sold inside the fund. Therefore, you're not sure exactly how much of your original investment will be around when it's time to take your dough. Likewise, the yield on a mutual fund fluctuates. · You will pay an ongoing expense to own the fund, called the "expense ratio," and you may have to pay a commission, called a "load." · Money market mutual funds. · What interest rates are available. · What are the comparable yields over identical time periods. · What timeframe the rate applies to. · What fees (if any) there are to purchase and maintain the investment. · The minimum investment required to get favorable interest rates. · Where exactly to park your cash. · How to create a cash cushion. · Disaster-proof your finances and sleep easier at night. · Do some quick savings calculations to see how much you need for a rainy day. Perhaps you’ve already seen hundreds of articles telling you how to save money, but MWI Consultants Inc has much better tips to give you for a better and smarter future! We list all of the best possible tips for you to consider and should accomplish. You should definitely do these things even if you’re still young – it is much better, believe us. New research from Fidelity Investments states that 36 percent of retirees wished they had saved more during their working years and 33 percent wished they had started saving earlier. Imagine how many individuals regret of not having earlier savings. MWI Consultants Inc has this particular strategy that will pay off more in the long run – it is to make the most of your 401(k) now and max out your employer-match contribution. Don’t let that free cash disappear and negotiate to be vested sooner and/or receive a higher match opposed to $1k to $2k more every year. Most of us has this attitude of getting some money into our personal savings or 401(k) for some emergencies or something recreational (or buying the newest brand of smartphone that’s really, really cool) and then we convince ourselves that we’ll pay ourselves back for the deduction soon so that we feel less guilty about it, but there’s a higher chance that it will never happen! MWI Consultants Inc believes that after going through this post, you’re going to be more careful in spending your money. Don’t be a capricious individual when it comes to money. Be more responsible as possible. Emergencies tend to happen sometimes so make sure you have a separate fund for it. Credit cards are not free money! Once you’ve turned 18, don’t be surprised if you’re targeted by credit card companies. MWI Consultants Inc advises you to become more cautious and don’t fall into their trap. Numerous students with no job have been victims of this scheme. Some of them maxed out their cards in months and was unable to pay the bills. They missed the payments for years until their debt was in such dire straits that they were offered payoff deals. The debt, and the permanent mark it left on their credit score, followed them for years, making it difficult to buy a car, purchase a home, or even build their savings. There are some people who want to buy some luxurious stuffs once they got their first paycheck on their high-paying job with the sole reason of just showing off to their friends and impressing them with what they achieved. Believe MWI Consultants Inc when we say that 70 percent of the people around you doesn’t care about what you have and what you do. You’ll just waste your money trying to impress them. You must spend your money on much more important things. When you receive your paycheck, the largest part of your salary should be intended for paying all your bills for the month. Second, pay yourself by putting the money into your savings account and setting aside the cash for budget items like gas, groceries and rent. And if there’s money left, you can use a little of it for the things you’d like to do, like eating out, seeing a movie, or buying your favorite book. MWI Consultants Inc understands that it is not the most exciting way to live, but it is the smartest. You’ve already read the cons of credit cards earlier, right? So if it’s all possible, you should not have credit cards. You should also remember that you don’t need anything if you can’t pay for it in cash. Remember this tip as if it is a mantra. MWI Consultants Inc is sure that you can totally live without any fancy flat-screen TVs or expensive sneakers, right? However, if you already have a credit card, just be smart in handling it. On the other hand, if you can buy it, chances are you can negotiate the price down. Keep in mind that you can save a lot of money if you learn how to drive a hard bargain. You should buy a property as soon as you can. It might set you back financially at first, but that sacrifice by way of real estate investment will be paid off over the years. This is because instead of paying someone else a fee to live under a roof, you can pay yourself in the form of equity, which you can use to continue purchasing a real estate as a means of earning passive income. MWI Consultants Inc suggests that you should research more in depth regarding this topic because this is one of the most worthwhile tips on the list. Investment trusts are a great way to boost your returns, thanks to low charges and transparency, but what is the best way to invest? Making the most of investing is not just about picking investments wisely, it's also important to make sure you hold them in the best place. Costs are consistently being trimmed and investors can now choose to hold all everything within one handy online wrapper. 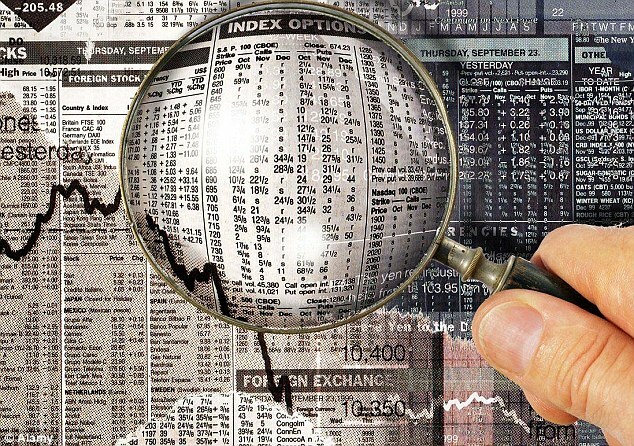 Investment trusts are listed companies with shares that trade on the stock market. Trusts invest in the shares of other companies and are known as closed end, meaning the number of shares or units the trust's portfolio is divided into is limited. Investors can buy or sell these units to join or leave, but new money outside this pool cannot be raised without formally issuing new shares. Fees for investment trusts tend to be lower than funds, which means your returns are not as affected by charges. An investment trust is closed ended, meaning there is a fixed amount of shares, unlike in a fund where you risk having your returns diluted if more people invest or if a whole load of people try to sell out their holding. There is an old Square Mile adage that ‘unit trusts are sold, but investment trusts are bought’. What the City veterans are getting at here is that the investing public is bombarded by advertisements and mail shots about the vast universe of open-ended funds, i.e. unit trusts and OEICs, which tend to have large marketing budgets. But people typically have to do a bit of work themselves to discover the advantages of the much more introvert investment trust world. The fact is, investment trusts don’t advertise anything like so much because, as so-called closed-end funds, they have a fixed number of shares in issue. Therefore, the argument goes, if you are inviting one person to buy then you are also asking someone else to sell. Not much point – and certainly no money – in that. Those who take the time to research the fascinating but understated investment trust sector are unlikely to regret it. In fact, delve a little deeper and ask a few pointed questions and you will find that many fund management professionals put their own money into investment trusts as the vehicle of choice. The problem for those who prefer investment trusts to funds (Oeics and unit trusts) is that while their management charges are lower and there are no initial fees, they are traded like shares and so attract dealing charges. You can either invest in a trust via a stockbroker, as you would do shares, or through an online investing platform. Some investment houses will also allow you to invest in their trusts direct, either as part of an Isa or a straightforward investment. If you are happy investing without financial advice, the best option tends to be through an online platform as these tend to have cut dealing fees below tradition brokers' levels. It may cost more than buying direct but allows you to hold all your investments in one place. The important questions to ask yourself before you decide how to invest is whether you want to hold your trust in an Isa and hold all your investments in one place. By choosing an online Isa platform product, you essentially invest in an Isa wrapper which you can put round and number of trusts in the same year, as long as you don't exceed the annual Isa limit. The advantage of investing through a platform is also that you can see and monitor your holdings in one place, you can do this whether you opt for an Isa product or just a straightforward investment account. The disadvantage is that you may pay a small fee for holding trusts. Dealing charges can also range from £5 to £12.50. If you buy direct with an Isa wrapper, then that is your investing Isa allowance for that year and you may only be able to invest tax-free either in that trust, or the investment houses other trusts in that financial year. As an example of investing direct Aberdeen Asset Management allows investors to buy into its selection of trusts either with an Isa wrapper or as a straight investment (it also offers Isa transfers in). For straightforward investing, buying carries no charges but selling costs £10, there is no annual administration fee and the minimum lump sum is £250 and regular investing sum is £100. For an Isa wrapper, there is no buying charge, a £15 selling fee, and a £24 plus VAT annual administration fee. Minimum lump sum investment is £1,000 and regular investment is £100. You could access investment trusts from different companies and combine them with other products such as shares and funds by using a platform. Hargreaves Lansdown is one example of a platform that will let you do this in a number of ways. Investors with an Isa holding investment trusts have an annual charge of 0.45 per cent of their value, capped at £45 per year. Non-Isa investors are not charged. The Hargreaves Lansdown platform is really best suited to fund investing rather than investment trusts, but is useful if you plan to hold the two together. Why invest through an Isa? Investing with an Isa is one of the few opportunities we have for making money with very little tax but it doesn't offer complete tax-free status. Every year the Government gives us a tax-free Isa allowance. For 2015/16 the allowance is £15,240. You are able to move money from an investment Isa into cash Isa under the rules or put your whole allowance in a cash Isa. This applies to any money you have invested in previous years. Any gains within an Isa are free from capital gains tax. Everyone has a CGT allowance, currently £11,000 per year, and many may feel they are unlikely to ever make more than this in profit each year from selling their assets. This is because if they opt to sell all or a large amount of their investments at one time and they are not held in an Isa, then they may be over the capital gains tax limit and face a tax bill. Whereas, hold them in an Isa and you have no such problem and will not even need to fill in a tax form if you sell. Income from investments is also treated in a more tax-friendly way in an Isa. Corporate bonds and gilts income is tax-free. Dividends and shares income are still taxed at 10% before they are received, so basic rate taxpayers will not gain any extra benefit, but higher rate taxpayers do not have to pay any extra tax that would normally be incurred. If you are a basic rate taxpayer you may hope to be a higher rate taxpayer one day, so putting your investments in a tax-free wrapper is a sound tactic. Investing through an Isa also removes the headache of filling in a tax return for both income and capital gains. MWI Consultants Inc may collect personal identification information from Users in a variety of ways, including, but not limited to, when Users visit our site, fill out a form, and in connection with other activities, services, features or resources the company makes available on our Site. Users may be asked for, as appropriate, name, email address, mailing address, phone number. Users may, however, visit our Site anonymously. The company will collect personal identification information from Users only if they voluntarily submit such information to us. Users can always refuse to supply personally identification information, except that it may prevent them from engaging in certain Site related activities. MWI Consultants Inc may collect non-personal identification information about Users whenever they interact with our Site. Non-personal identification information may include the browser name, the type of computer and technical information about Users means of connection to our Site, such as the operating system and the Internet service providers’ utilized and other similar information. MWI Consultants may need your information display content on the Site correctly. MWI Consultants may use information in the aggregate to understand how our Users as a group use the services and resources provided on our Site. MWI Consultants may use feedback you provide to improve our products and services. MWI Consultants may use the email address to send User information and updates pertaining to their order. It may also be used to respond to their inquiries, questions, and/or other requests. MWI Consultants adopt appropriate data collection, storage and processing practices and security measures to protect against unauthorized access, alteration, disclosure or destruction of your personal information, username, password, transaction information and data stored on our Site. MWI Consultants do not sell, trade, or rent Users personal identification information to others. MWI Consultants may share generic aggregated demographic information not linked to any personal identification information regarding visitors and users with our business partners, trusted affiliates and advertisers for the purposes outlined above.